Featuring an expanded exhibition space including more national pavilions, enabling space agencies to showcase how innovative, cost effective and creative their national industry is whilst also enabling organisations to present their technologies and services to an international audience of buyers. Showcase your product or service to venture capitalists looking to invest in the space sector in the Start-Up Zone. This is your chance to demo to industry and investors, take part in quick-fire pitching sessions and receive candid feedback for you to hone your offerings and secure future funding. Showcasing the next generation of leaders and engineers. 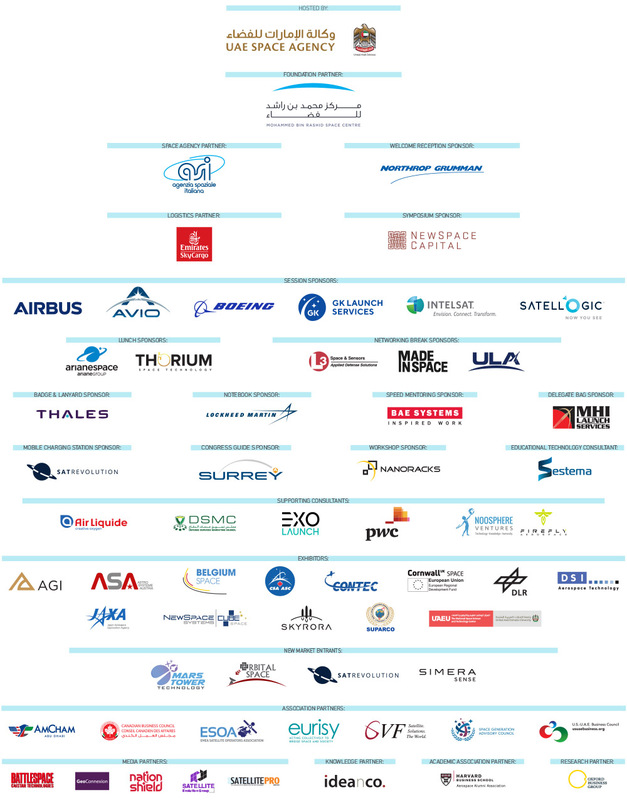 YSLF features inspirational role models from the international space scene and celebrates the passion and dedication to science and learning of the future leaders of the Emirati space programme. The Forum is a full day dedicated to the development of young professionals and students advancing their career ambitions in space and aerospace.